A celebration of the joys of share-housing...and the people you meet along the way. When 12 people live in a converted warehouse in North London, what could possibly go wrong? The Worst Little Warehouse in London is an off-the-wall comedy cabaret, starring every housemate you've ever lived with. The show enjoyed sell-out success and critical acclaim at the 2018 Edinburgh Fringe and is now in Adelaide for the 2019 Fringe. Lala Barlow and Robbie Smith star as two wide-eyed koalas fresh off the boat and looking for the perfect place to call home in one of the most populated cities in the world. Relive their year living at Daisy Mill as they discover high ceilings, bathroom baskets and very thin bedroom walls. The show’s inspiration came about when real-life couple Lala and Robbie were living in a converted warehouse in North London. Struggling with exorbitant rents and the city’s ongoing housing crisis, the pair lived with 10 housemates for more than a year, discovering so many tales that were too good not to share. 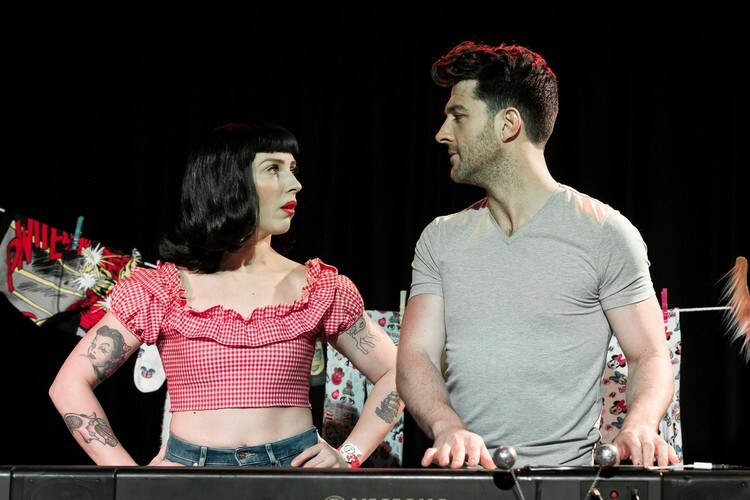 Co-writer and co-performer Robbie Smith says, ‘Almost every day something would happen in the warehouse and you would think, ‘you just can’t come up with this stuff’ and eventually we decided that we had to get these characters on stage.’ Barlow and Smith play a dozen different characters between them whilst accompanying themselves on piano. Nominated for Broadway World’s Best Cabaret Award at the Edinburgh Festival Fringe 2018. The event will be at the Cupola Garden.